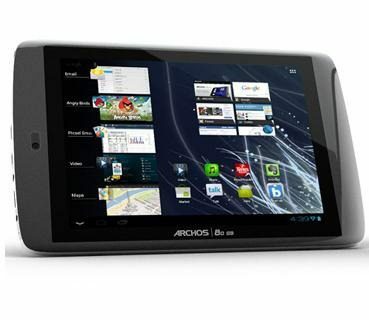 Archos has begun rolling out an Ice Cream Sandwich update for their G9 tablet series. 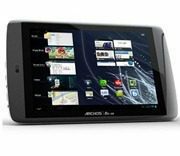 Archos said the worldwide, over-the-air, update began late last week, and would update the G9 tablets to Android 4.0, commonly known as Ice Cream Sandwich. Archos, in a statement about the update, said G9 users will see an “A” in the lower right-hand corner of the tablet. Clicking on it will download the update. After the update has downloaded, Archos said users can click on ‘yes’ to complete the install. The company also said their update features unique add-ons to Ice Cream Sandwich. These include an optimized file manager, wireless content sharing between the tablet and other computers or DNLA (Digital Living Network Alliance) compatible TVs, 3-D video support for MKV3D files, and full 1080p support for most video. The update will be available for the Archose 80 G9 and the Archos 101 G9. Both Classic and Turbo models (flash and HDD storage) of each are included in the update. Have you received the update? Leave your thoughts on it below.